This May theatres across the world will be graced with an Elton John biopic. 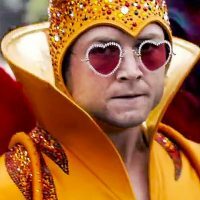 Rocketman stars Taron Egerton as the man himself, and today we got another look at the film. Not only does it look visually stunning, Taron actually sings in the film and he sounds AMAZING.